I’ve said it before, and I’ll say it again. I’m not huge celebrant of Valentine’s Day. I have nothing against it, but I definitely fall into the category of the Hallmark holiday naysayer. However, I do love pink, and hearts…and flowers, so if you saw my current closet and home décor, you’d think I’m Saint Valentine’s biggest fan girl. I love (pun intended) all the heart-print clothing that’s out this time of year. Sure, it’s on theme for February, but it also doesn’t look out of place any other month of the year. I mean, who doesn’t love pink hearts in July, right? 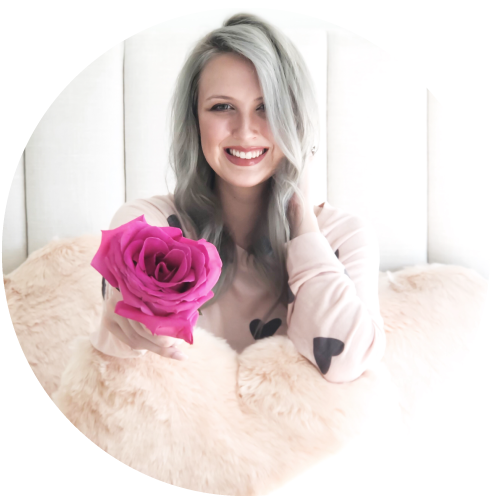 I wrote about my love of pink in this post, but there’s just something about going the full monty and embracing the hearts. It’s such a feminine and girly print, which can be whimsical or chic OR BOTH! Scroll down for my heart-print picks and my full outfit details! My black jeans are from Madewell and come in petite, regular, tall, and taller lengths! Guess which length I’m wearing ha! I’ve had these outdoor-friendly slippers for about a year now, and they are my go-to flats in the winter. Meghan Markle also frequently wears them, which basically means they’re fit for a queen (or at least a duchess)! Do you love Valentine’s Day? If not, are you still down for the heart print pieces? Let me know your thoughts!